For each of the images below, I’ve taken between thirty and ninety portrait paintings, depending on how many I could find, from a given time period. Then I averaged all of those together. So each image you see is not one person from one painting, but represents the average face painted in that period of art. 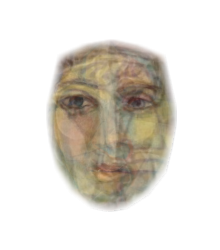 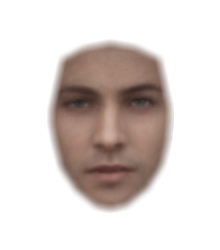 Only 18 out of 90 cubist images made it through the facial recognition software! Of course, that which is truly beautiful about a face is that which is unique to it, along with the particular expression on the face in a given moment. 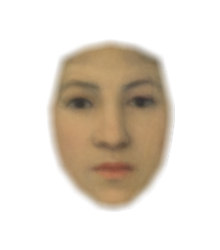 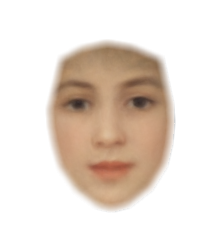 By averaging hundreds of faces together to form one image, we’ve clouded the expressivity and uniqueness of the individual paintings. 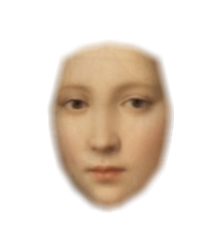 Even so, some expression still shines through. We can see the reservedness in some face average images, the sweet joy in others, and the seductive quality in yet others. How will our depiction of the human face change over the next thousand years? I look forward to it!